Theft | Jenson & Co. 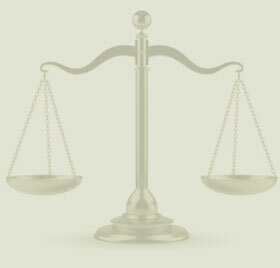 Punishment for those convicted of theft is classified based upon the value of the stolen property. The offence of theft over $5,000 pursuant to Section 334(a) is a strictly indictable offence, with punishment of up to 10 years imprisonment. Theft under $5,000 pursuant to Section 334(b) is a hybrid offence meaning that the Crown may proceed summarily or by indictment. Criminal lawyer Wade Jenson was retained to defend a client charged with the indictable offences of ‘theft over $5,000’ and ‘possession of stolen property over $5,000’ after a vehicle that had been left idling by its’ owner was reported stolen. Police encountered the vehicle being driven shortly thereafter, but when police attempted to stop the vehicle, the driver jumped out and attempted to flee. Client was a professional driver whose employment required regular crossing of the Canada/U.S. border. A criminal conviction would not only jeopardize his freedom but would likely result in the loss of his career. When interviewed days later with his wife at the offices of Jenson & Co., client had no memory of the incident. Wade Jenson obtained the expert opinion of a UBC psychologist who ultimately diagnosed the client with “dissociative disorder”. CHARGES DISMISSED. Kelowna criminal lawyer Wade Jenson was retained to defend a Kelowna SD23 teacher against a charge of shoplifting (theft under $5,000). Following Mr. Jenson’s correspondence with the Crown counsel, the file was brought to a close without the client ever having to appear in court. CHARGE DISMISSED.